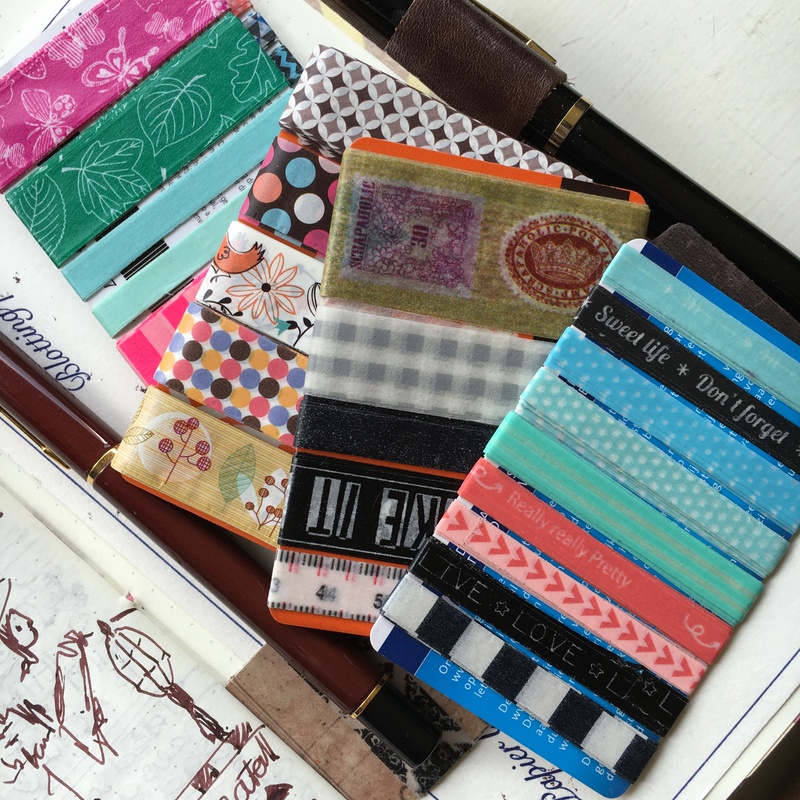 Last week we had the first of 45 weeks of photo prompts for our challenge and we saw some pretty amazing planner stacks. As promised we will select the one with the most likes every week to be hosted as the weekly Group header photo. This week it was easy to pick out one from the entered photo’s in the group, but as the year progresses, it may become harder and harder with just the one tag for the challenge, therefore I think maybe a special tag per week may be needed to find the correct weekly photo. So next to the #weeklyphotochallenge2016 and #weeklyphotochallenge we need a numbered one to discern the weeks. Since the prompts are numbered we’ll call it #weeklyphotochallenge2016nr1 and with this being number 2 this weeks will be #weeklyphotochallenge2016nr2. 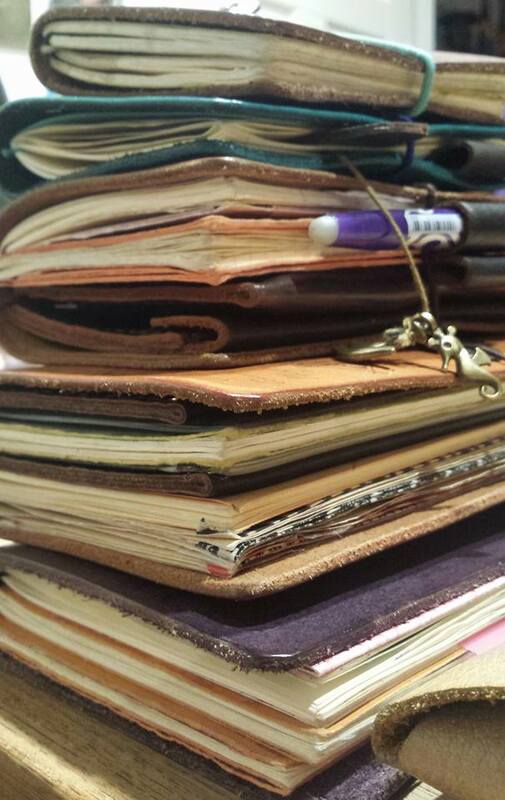 This weeks photo challenge favorite was made by Anjes, with a pretty awesome planner pile all of her own. 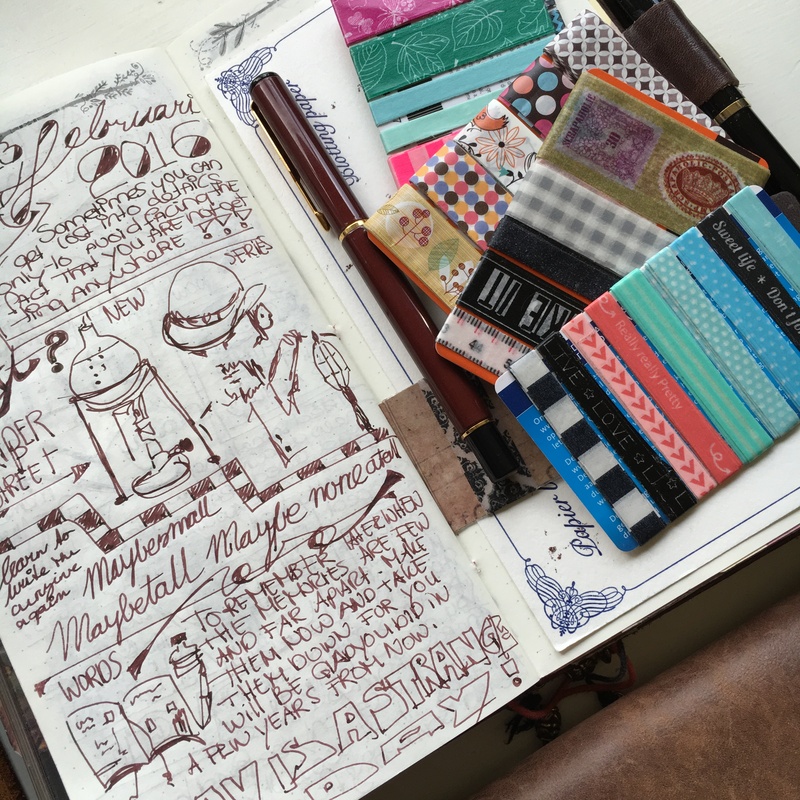 This weeks challenge is about Notebook Essentials, so I gathered a few of my favorite things. Things I would consider Notebook Essentials. A pencil case with pens, pencils, eraser, scissors, glue stick and pencil sharpener. My pencil wrap, with my favorite doodle pens, waterbrushes and of course brush tip pens. And of course a little stack of washi. 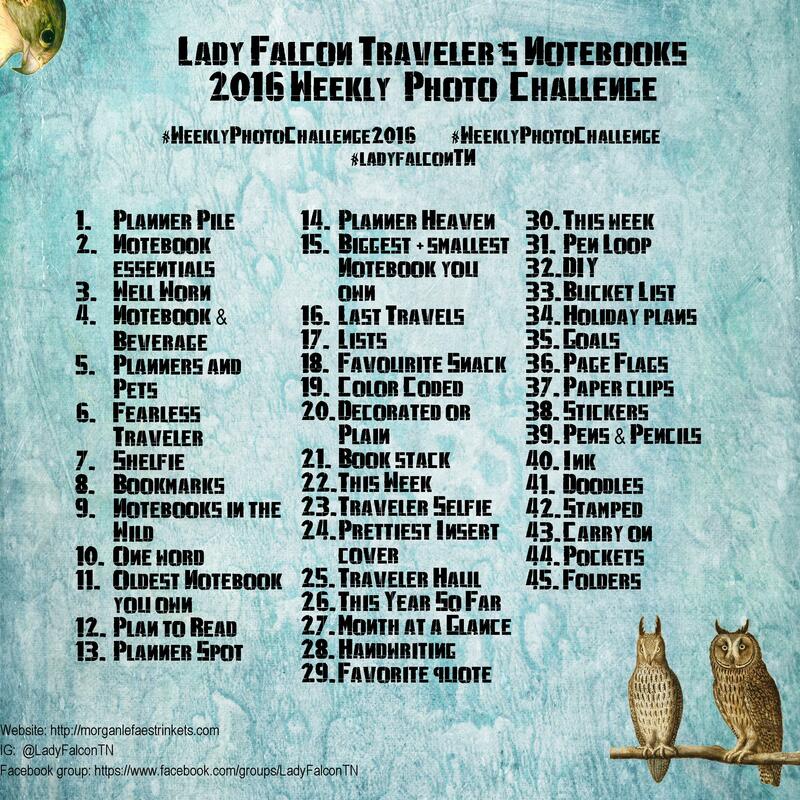 So here are the challenge prompts again, as a reminder for you all and also a reminder for the giveaway we’re having in the Lady Falcon Traveler’s Notebook group as a celebration of reaching 1500 members. You can Find more information about this here. Don’t forget, at the end of the year there is also a prize for this weekly photochallenge. Two actualy, a Peoples award, which will be chosen by the members of the group and an Admin award, which will be chosen by the admins of the group. They’ll be chosen from the weekly challenge winners. So come join the fun for a chance to win at the end of the challenge. Have a wonderful week and good luck with the challenges!